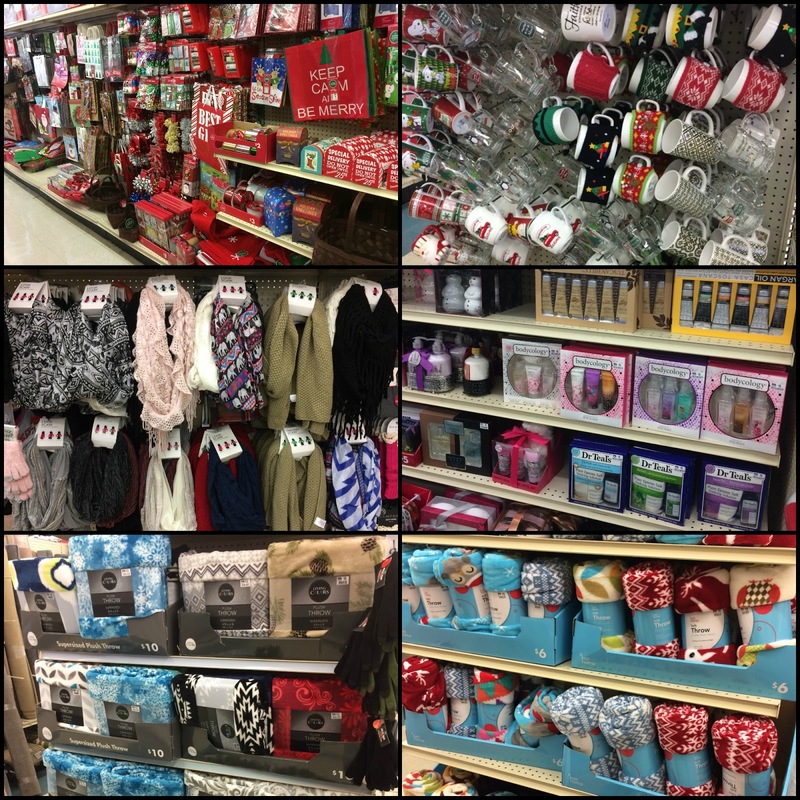 The holiday season is upon us and Big Lots has everything you need for those last minute gifts you forgot about, like your neighbor or a friend at work. Since there always seems to be someone I forget about, I pick up a few extra gifts that I could quickly wrap up in a gift basket. Big Lots is my go-to store for all my Christmas gifting needs! They have everything from scarves and gloves, to blankets, to jewelry gift sets, to electronics and accessories. 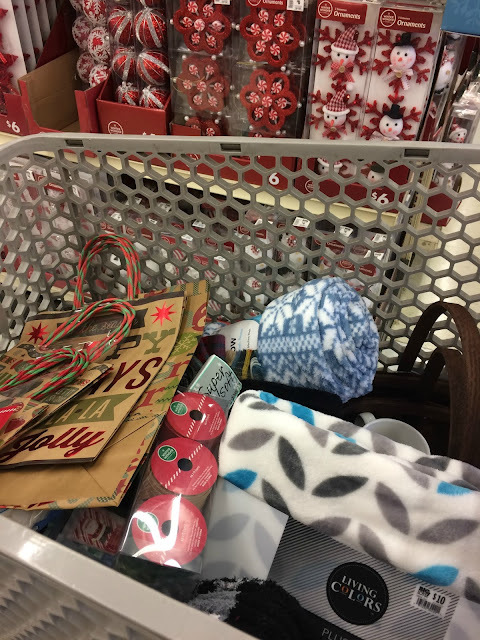 As I browsed through the store, I was overwhelmed by the wide variety of gifts, so I just tried to fill my cart with items I would like to receive. Big Lots also has a great selection of gift bags, baskets,wrapping paper, and bows so you can make your gifts pretty. I was surprised by the large selection of scarves...regular, infinity, and blanket scarves. I grabbed a few, along with some gloves and fuzzy socks. These items are perfect gifts for my friends and sister. I enjoy making gift baskets for my friends and family because you can customize them. 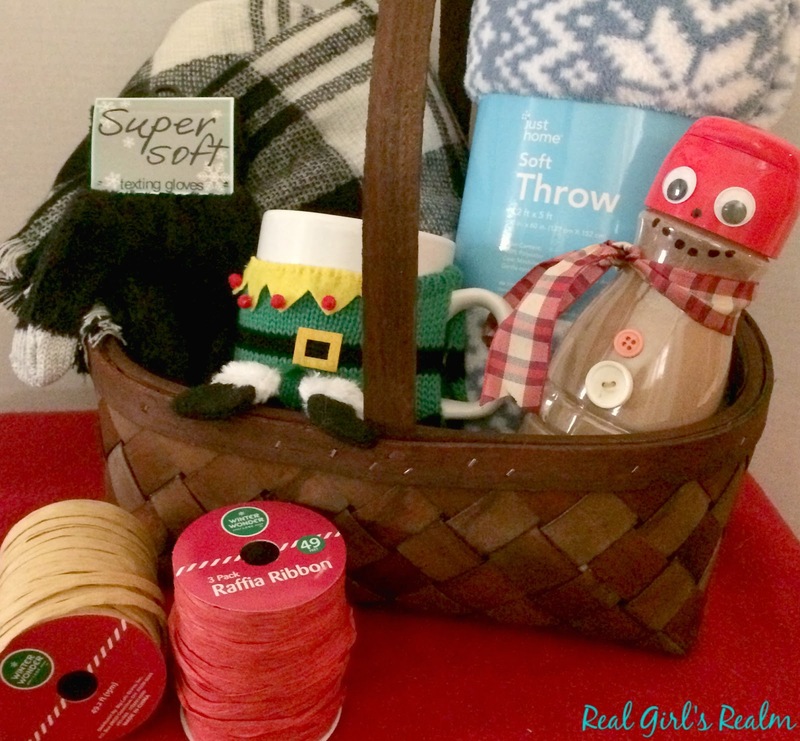 Today I am showing you how to make a Cozy Themed basket that has everything you need to spend a snowy day, curled up on the couch, including a cocoa-filled snowman and Elf mug! Step 1: Fill the container with cocoa mix. It is important to do this first because it makes a little bit of a mess. Step 2: Attach the googly eyes and buttons. I bought the adhesive eyes, so I just stuck them on and I used super glue to secure the buttons. 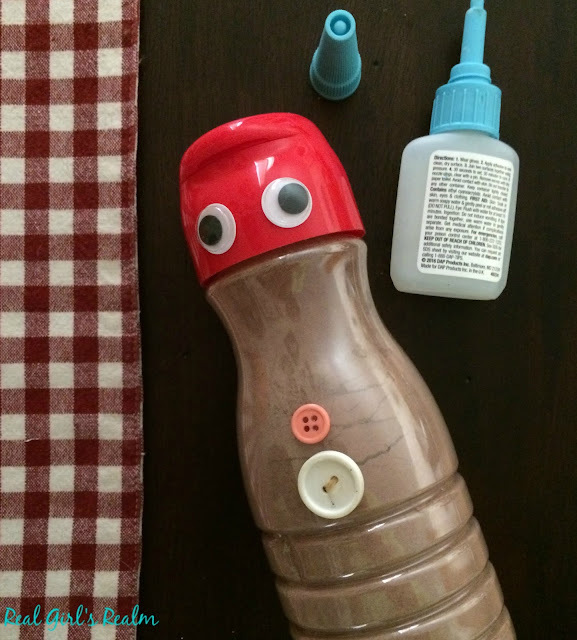 Use the marker to draw the nose and mouth onto the container. 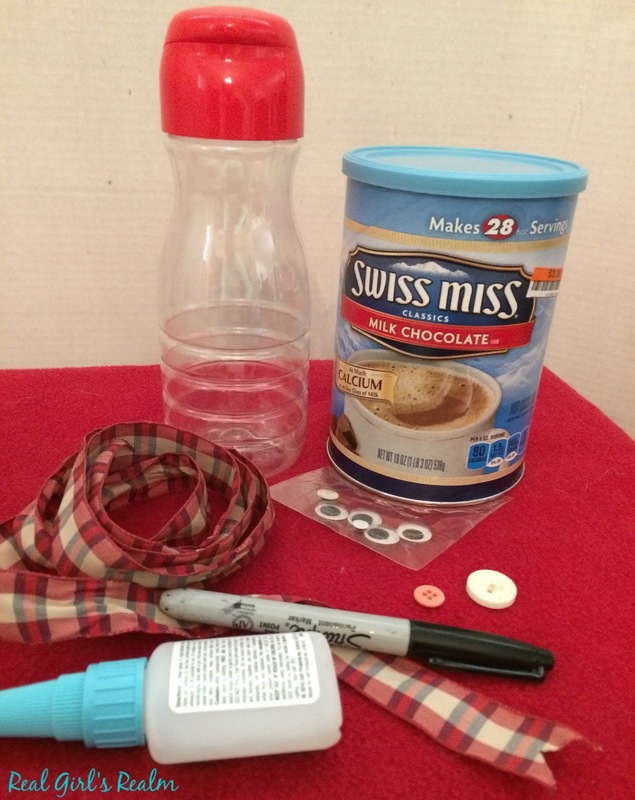 Step 3: Tie the ribbon around the neck of the container like a scarf. Step 4: Assemble the basket. 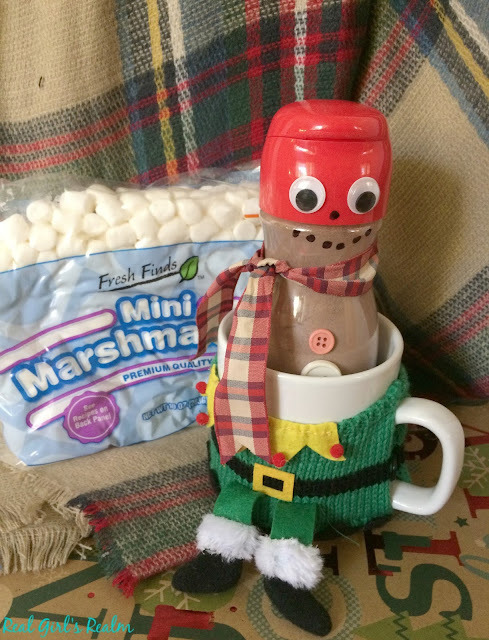 Add your cocoa-filled snowman, mug, a festive bag of marshmallows, cozy scarf and gloves, and fleece throw. Top it off with a festive bow! Head to Big Lots to check off all of the items on your Christmas gift list! What are some of your last-minute gift ideas? For more holiday inspiration, follow Big Lots on Facebook, Pinterest, Twitter, and Instagram! This is such a cute idea! I love the hot cocoa mix container! Thank you so much! Its a fun project! That cocoa snowman is the cutest! I so need to make one of those for whenever I do a gift basket again! Thank you! It is so easy to make and a good ray to up-cycle your empty creamer bottles. It's so funny when I try to keep/hoard a container for possile use later I'm in violation of having to much stuff for possible use later. I need a secret craft room. Such a cute idea! 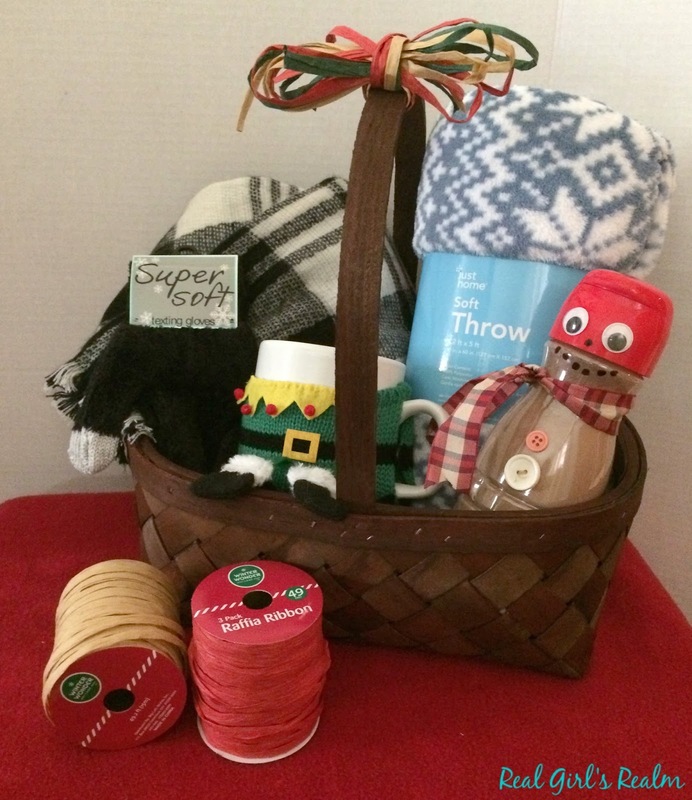 Who wouldn't love a basket filled with cozy items?! Thanks! I would love it!